Yesterday we posted an Image based MCQ on Shoulder Dystocia. And as promised here is the answer. The given image shows Mc Roberts maneuver. 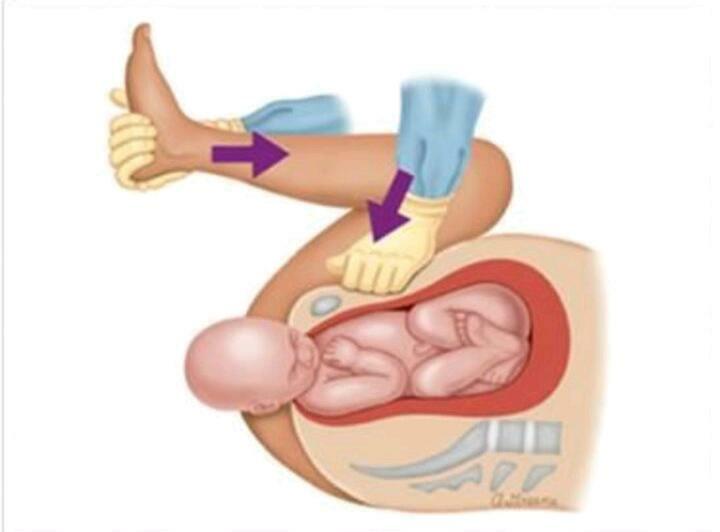 All of the above mentioned maneuvers are used for management of shoulder dystocia. In this maneuver, legs of the mother will be abducted and flexed against the abdomen. It causes cephalic rotation of the pelvis. Along with this gentle suprapubic pressure is applied by the assistant.